Today is my favorite holiday of the year- Halloween! Ok, maybe Thanksgiving wins out because of stuffing, but just barely. I have always spent a ridiculous amount of time figuring out what I will be for the big day. And then an even longer time putting it together. I can not wait to share what I’ll be this year over on Instagram later! 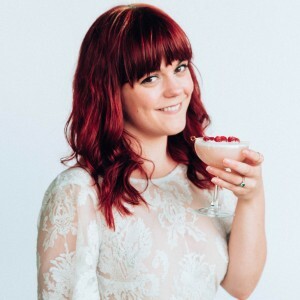 The best things besides getting to dress up as whatever your heart desires: the drinks! 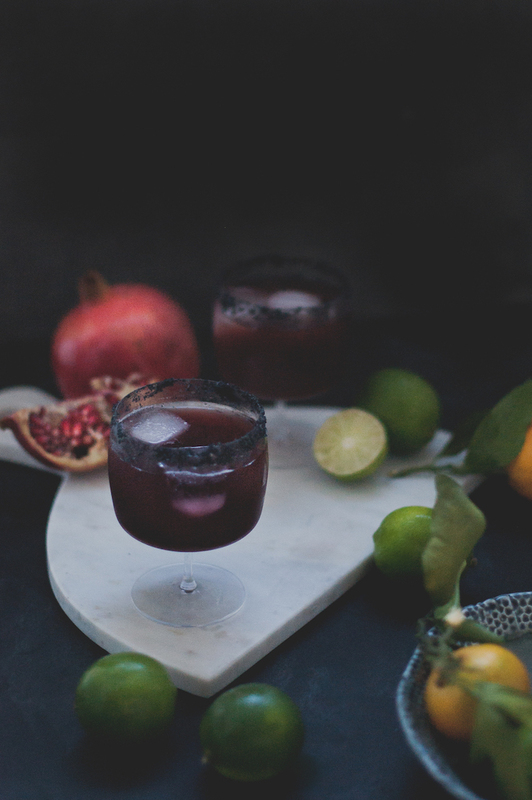 Spooky punches and creepy cocktails are so fun to whip together for yourself or party guests. It’s the one time I allow myself to get a little kitschy with my concoctions. 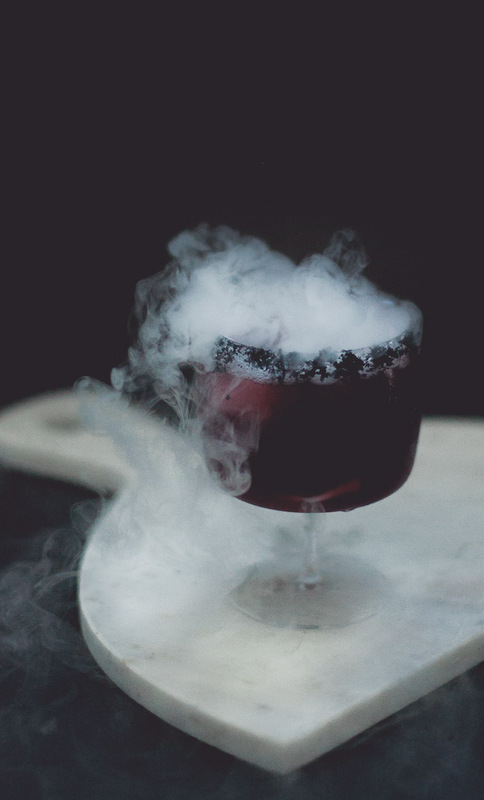 Brain ice, black vodka, bloody garnishes, creepy crawlies, and my absolute favorite Halloween drink adornment: dry ice! 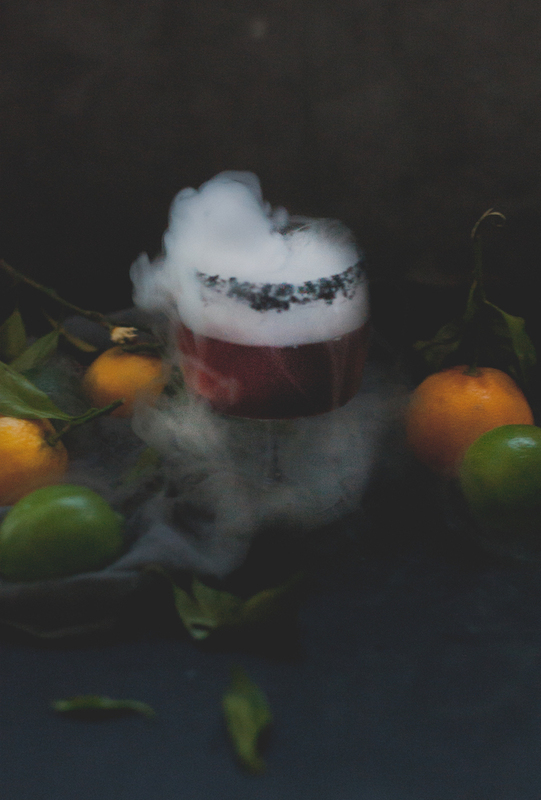 Dry ice is such a magical addition to your Halloween celebrations. If you haven’t used it for your spooky drinks, may I suggest you go get some right now?! There’s still time! Either lingering in your yard or in a punch bowl, it sets an eerie tone for your victims… I mean guests! When you put it in a liquid, it starts to bubble and release a low hanging fog that adds instant drama, no decorating required. 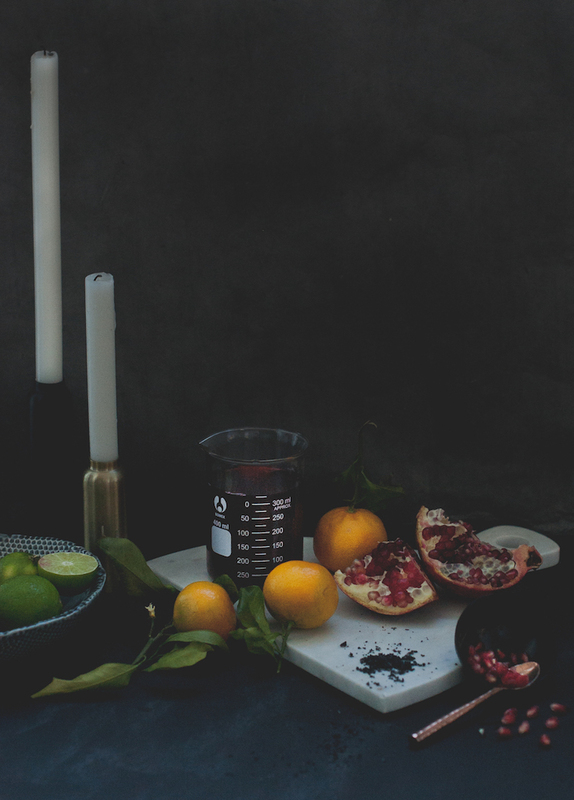 It’s great for sophisticated spooky soirées or over the top Monster Mash bashes. 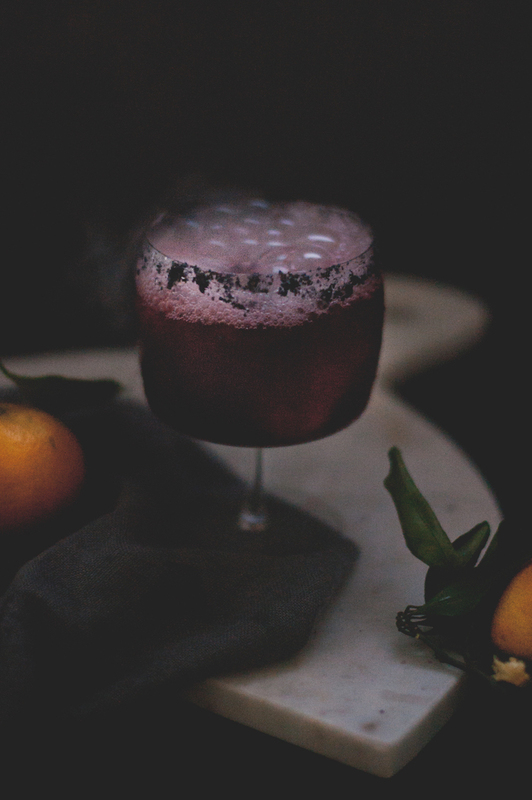 Smokey mezcal takes center stage in this drink. I went with a smoother, less fiery & chili-forward bottle as I am still a novice imbiber of the complex agave spirit. I go with lower ABV options (40% and below) as they tend to have more subtle flavors and are easier to drink for those that find some mezcals too intense. 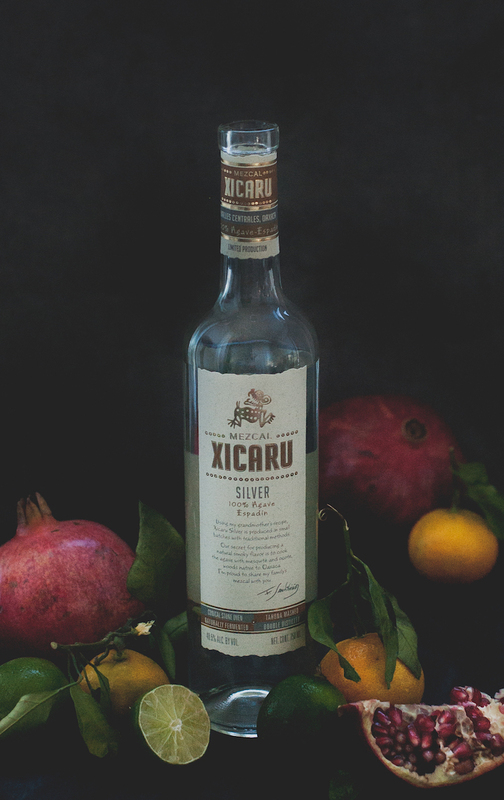 In this case I used Xicaru Silver which is extremely easy to drink, even to sip on. 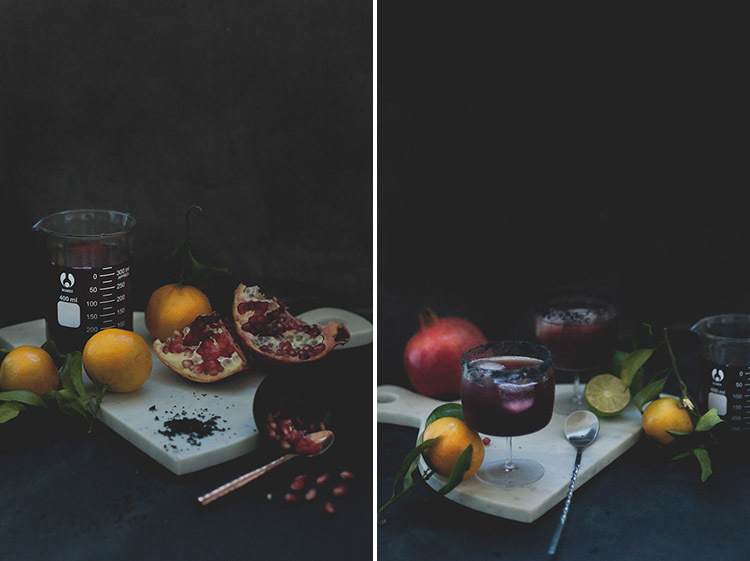 Fresh pomegranate juice adds a deep, blood red color and marries well with mezcal. I dashed in some mole bitters for a bit of savoriness that plays well with the notes of the agave, but if you don’t have any on hand, orange bitters will do just fine. 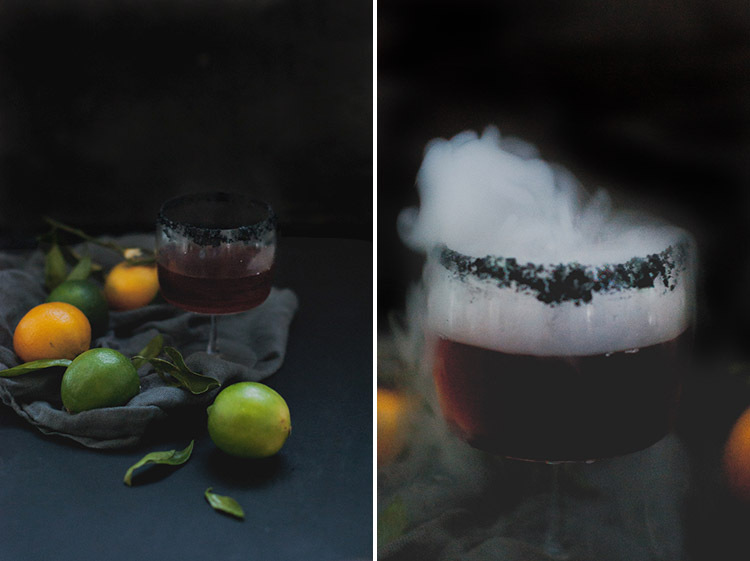 As the saying goes, where there is smoke there’s fire and there’s definitely a fiery kick to this cocktail! Taking a lime wedge, rub it around the edge of a glass. Take the black sea salt and add it to a plate. If is too course, crush it a bit. Rim the glass with the salt. Add all ingredients into a shaker with ice. Strain into the salt rimmed glass. Carefully using tongs, add the dry ice to the drink. Add regular ice cubes on top to keep the dry ice in place. Watch it bubble bubble toil and trouble and enjoy! 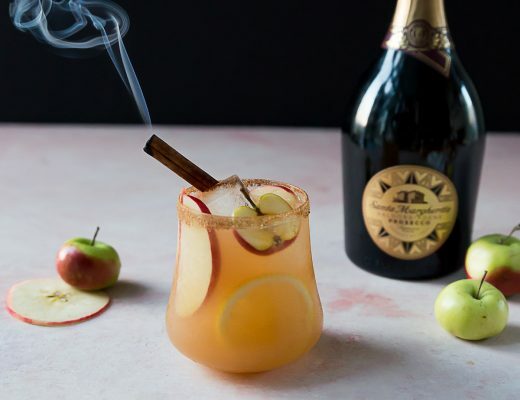 *For the Where There’s Smoke, I added the dry ice directly to the glass using tongs, but please use caution when handling dry ice. It is COLD. As in so cold it will burn you and give you instant frost bite. If adding to a glass, please let guests know to keep the ice at the bottom of their glass (it sinks) and to not touch it to their lips. 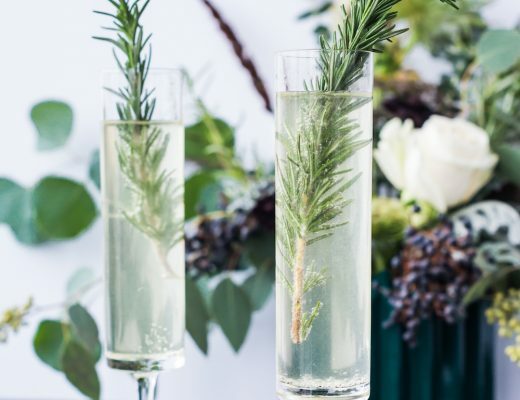 If you are having a large party and can’t monitor drinks, add a punch bowl to a larger bowl or pot and place warm water and dry ice in the larger vessel so there is no chance of guests accidentally touching it. Even with all the smoke and mirrors (ha) there’s one thing I won’t compromise on: quality. 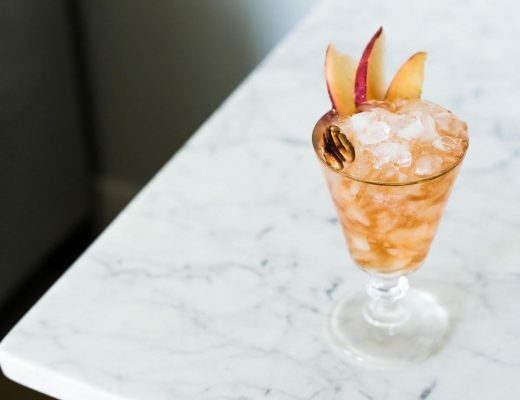 There are no tricks here with this cocktail, it’s just one delicious treat! 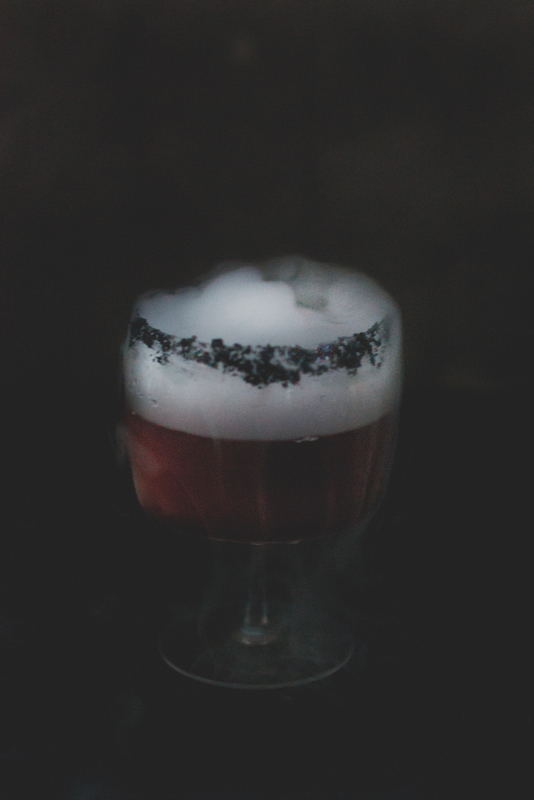 I will be posting another creepy cocktail later today so stay tuned for more All Hallows’ Eve fun!